I'd probably find a lot more things at Goodwill if I followed this rule. 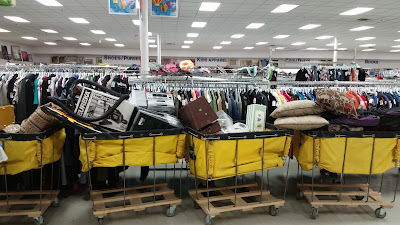 Of course, a lot depends on how much time and effort you want to devote to thrifting. Since I do it mainly for fun at this point, and since I'm running out of room, I'm not quite as concerned about being thorough these days. 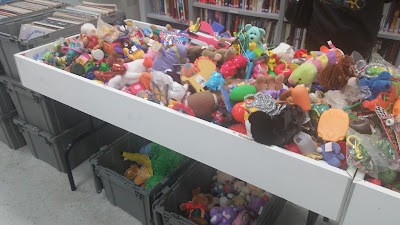 There are three main places I search for toys and dolls at my local Goodwill. Overwhelmed yet? ;) I usually start glazing over by about halfway through the toy aisle, so don't feel bad. If you take things slow and are willing to dig, though, you'll have more success as a thrifter than someone who just skims the surface. 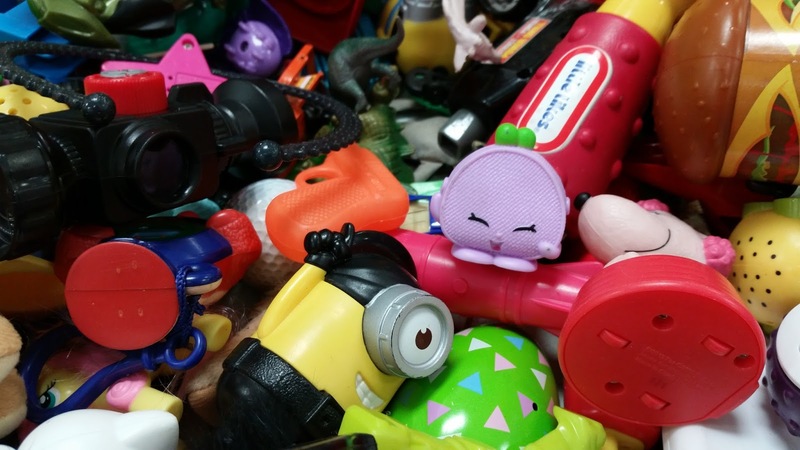 The Toy Table can hold countless treasures, but you'll find more if you sift through everything. I've been known to dig through the whole table from one side, and then go to the other side and start all over again. It's amazing how much you can miss just because of your angle. Here are a few things I discovered at the Toy Table today. Here she is, all cleaned up. She's plastic and appears to be a cake topper of some sort. 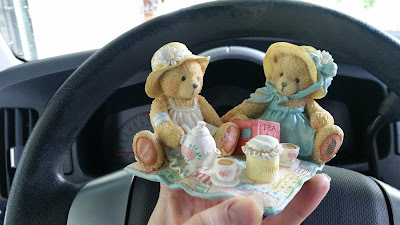 On the flip side, try to keep thrifting fun. Going into a thrift store is like going on a scavenger hunt. You never know what you'll discover. 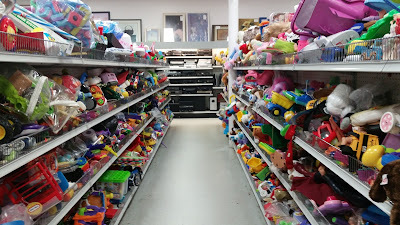 However, if you have a slightly obsessive personality like mine, it's easy to live at the thrift store (especially if you have time on your hands). You can drive yourself crazy thinking about the possible finds you're missing. I know that sounds a little over the top, but I've actually found myself thinking that way before. 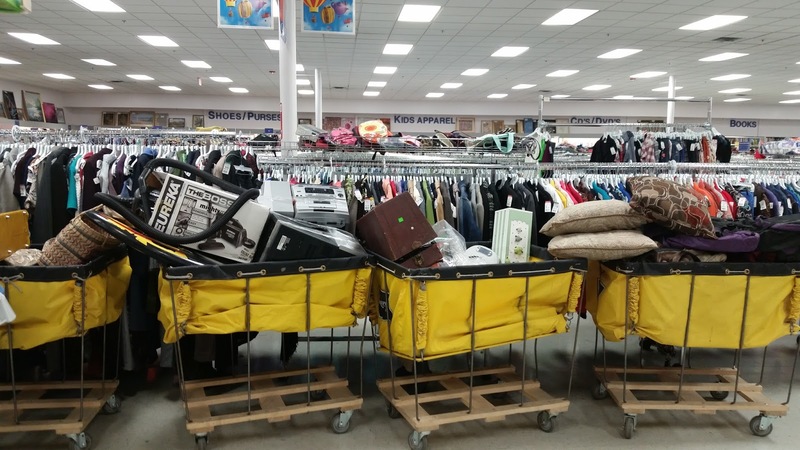 Some of the local regulars do spend entire days at Goodwill, waiting for the new product to come out. (My mom and I have been known to go multiple times during the day, if we're being perfectly honest.) ;) I'm not condemning people who want to thrift that way, because everyone is different. 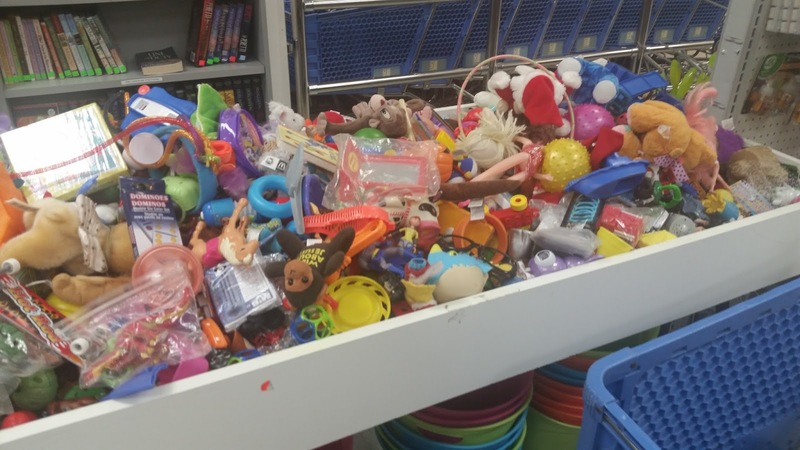 For someone buying and reselling as a business, that may be the way they have to shop in order to make enough of a profit. But personally, I don't want to thrift like that. If I did, I think I would feel enslaved to the store and this hobby, instead of enjoying it as a fun and casual pastime. 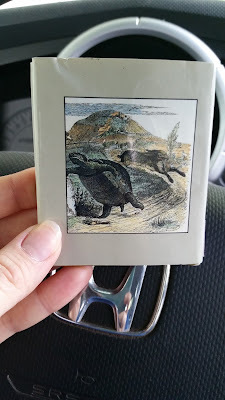 I've already shared some of my more amazing finds in earlier posts, which you can see on my Thrift Store Finds page HERE, but I thought I'd share a few more recent finds on today's post. 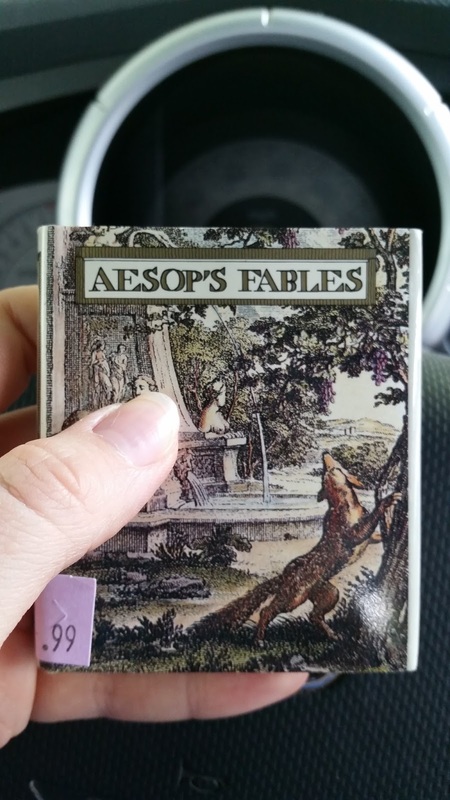 It wasn't as exciting of a week for me, but I still found a few fun things. I've been keeping my eye out for a copy of Iron Man on DVD for a while. I didn't want to spend a lot, but I wanted to watch it again, especially since Oldest Gal and I had our recent Marvel marathon last month. ;) This is one I didn't have. I can still remember watching this in theaters, back before we knew how huge the whole Marvel thing would become. This was the one that started it all. 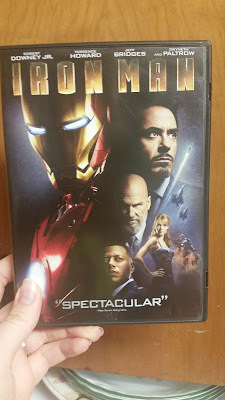 And while Iron Man isn't my favorite Avenger (and his films usually have a little more inappropriate content than the others in the series), I still enjoyed the story. 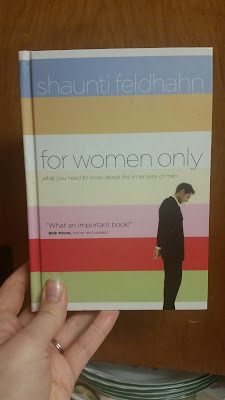 This was $3.99. The illustration on the back. 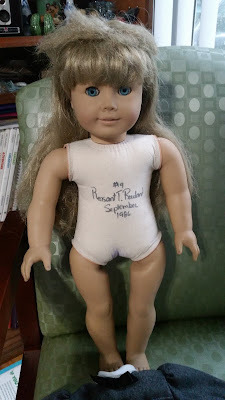 She found a white body Pleasant Company Kirsten doll numbered and signed by Pleasant Rowland herself, dated 1986. :D She was sitting in one of those product carts we talked about earlier, waiting to be shelved. Her price? $5.99. 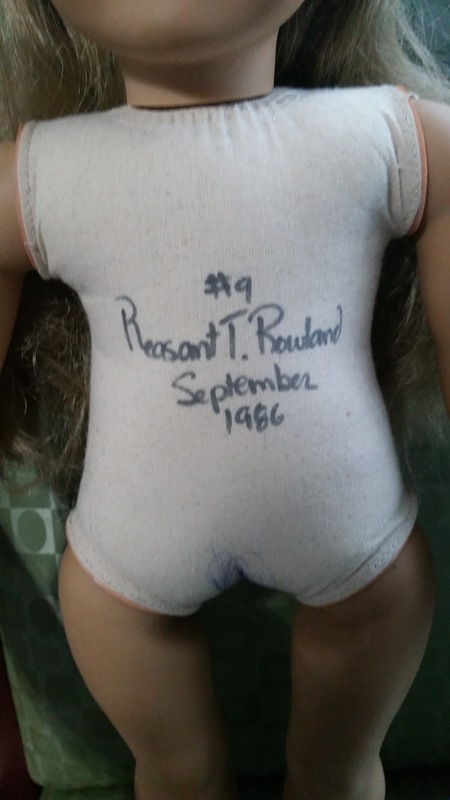 For those of you who are not aware, Pleasant Rowland was the founder of the American Girl company back in 1986. The earliest AG dolls had white bodies instead of flesh-colored ones, and apparently the first 100 of them were personally signed by Pleasant. 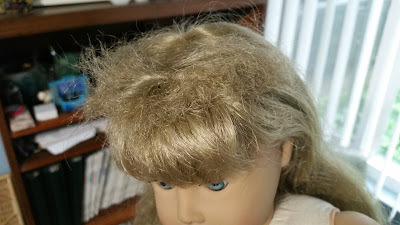 ...and some frazzled bangs that will be difficult to repair. However, her limbs are amazingly tight and she has no silver eye or any other issues. Most of her rub marks are minor and should clean up quite nicely. 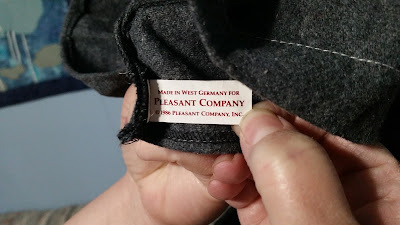 ...which is marked West Germany on the tag (meaning it was one of the original dresses, which were manufactured in Germany instead of China as they are nowadays). And this is one of those examples of patience and persistence paying off. 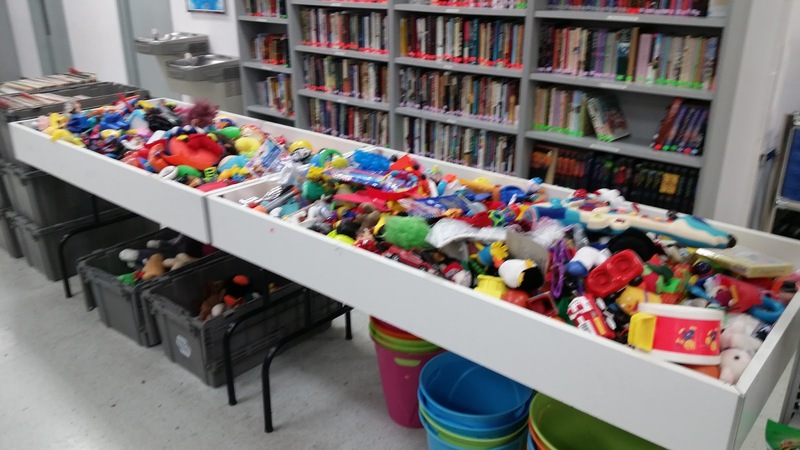 Our local Goodwill first opened in 2012. In that time, we have only found two American Girl dolls (my mom has actually been the one to find both of them). 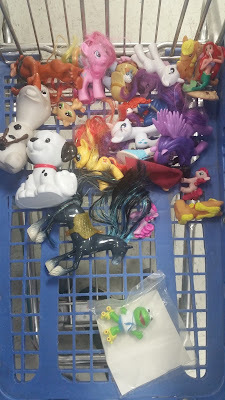 This is not counting the Molly I found, since she was in a Nevada Goodwill. ;) We assume that most of them are set aside for Goodwill's online auction site. However, mom thinks that because the white-bodied dolls are not tagged, this one slipped through the radar. I was nominated by Am I cute or what? 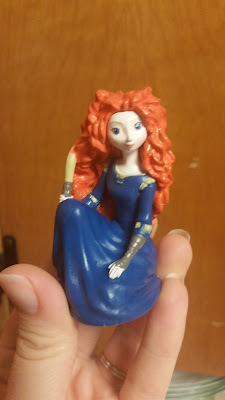 and by MyLittleMegara for the "Great Doll Blog Award." The rules for this award are to thank the blogger(s) who nominated you, answer their five questions, come up with five questions of your own, and then nominate five other bloggers. 1. 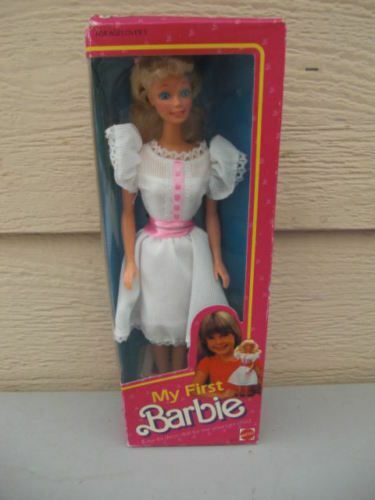 What was your very first doll? AG or other. Oh, man, I honestly don't remember. I've had dolls all my life. ;) The first doll I specifically remember getting was "My First Barbie" for my 3rd birthday. I loved her because she reminded me of my first grade teacher. ;) I know that I had other dolls, but that's the first one I clearly remember. 2. If you had to name one of your dolls after a character from a movie or book, who would it be and why? 3. Who is your favorite Girl of the Year doll? 4. What is your favorite Historical AG outfit? I think it would be a tie between Samantha's Christmas Dress, Cecile's Special Dress, and Addy's Christmas Dress. 5. 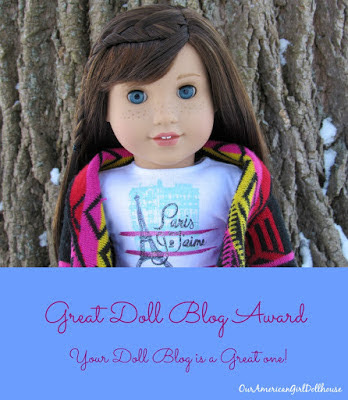 What is your favorite thing about having a doll blog? This July will mark six years since I began blogging. Crazy! 2. What is your favorite post that you've written/photographed? 3. What is your favorite historical American Girl (if you have one)? 4. If you could take pictures of your dolls anywhere, where would you go? 5. What do you see in your blog's future? I'm so thankful for how far Never Grow Up has come. I never dreamed I would get to this point when I did that first post so long ago. I'll probably have to stay at this slower pace for a while, since I have so many other writing projects, but my plan is to keep blogging for the forseeable future. 1. Which is your favorite doll in your entire collection? 2. Which type of doll do you prefer, AG/18" dolls or fashion dolls? 4. What has been the most memorable thing about blogging for you? 5. What is your biggest dream for your doll blog? Some of you may remember my mention of the beautiful Barbie Candy Princess doll (I think that's her name...she's not labeled on her box, and the title varies depending on the website). I saw her on the girls' birthday trip, and decided I'd love to get her sometime and swap her to a "Made to Move" Barbie body. Well, that idea stuck with me, but even though I'd found several of the Candy Princess dolls around, I was never 100% pleased with their faces. They were either too severe-looking, or the eyes were uneven...you get the idea. 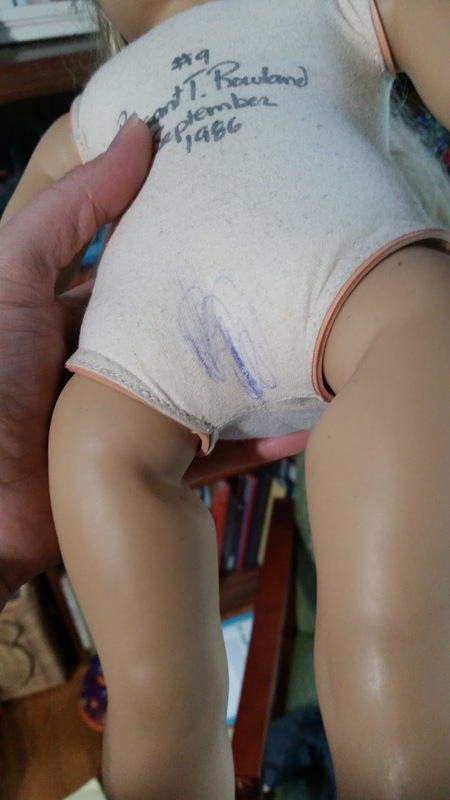 I wanted my doll to be just right, especially if I was going to purchase her new. Here's a look at "Candy Princess" in her box. Candy Princess has minimal articulation (just at the head, shoulders, and hips) and a plastic, molded-on bodice. Her cloth, glitter-encrusted skirt is removable. Lea out of the box. A closer look at her sweet face. I already have a Made to Move Lea, and actually considered swapping her head instead, especially since I accidentally cut a small tuft of hair at the back of her head when I was trying to remove those irritating plastic ties Mattel loves. However, when I compared their faces, I decided I preferred the face of my older doll (pictured on the right). It's slightly rounder and has a softer look. So, Candy Princess and New Lea agreed to swap. 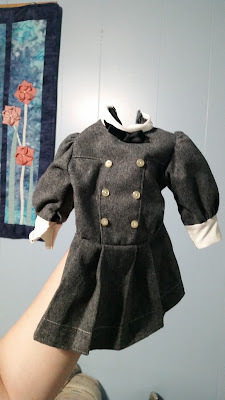 It's been a while since I've done a head swap, and usually I work with used three-dollar dolls from Goodwill for such projects. As you can imagine, I was a little nervous. Head swapping can have disastrous results. And I was having trouble getting Lea's head off. Because of this, I took a little break and did some research. I found THIS online article to be incredibly helpful. Sometime, I'd love to try the heating pad method they suggested, but this time, all I had was a hair dryer. Convinced that I was on the right track, I continued my hair dryer method. After about ten minutes of using the dryer, working with the head, and using the dryer again, I was finally able to remove it. The biggest challenge of this sort of project is removing the head without damaging the knob that holds it or cracking the neck. The neck glue started to turn shiny as I used the hair dryer, which made me nervous, but thankfully the neck didn't break. It's hard to see from this photo, but I did definitely strain the head knob inside the neck. It's really hard to get the head off without twisting the knob inside too far, which can lead to breakage. The fact that I was working with a brand new doll made it a lot more stressful. 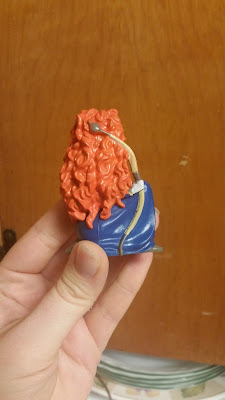 Another thing I noticed this time was that the hair dryer must have melted some of the glue inside the head (used to hold the hair in place). The knob inside the head was sticky when I finally got the head removed. Now it was time to move on to the Candy Princess head. I tried wrapping her head in a hand towel to give it better protection from the heat of the dryer (as suggested in the above article). I made better time getting this head off, but I twisted the knob a little too much. You can especially see it here. It didn't break, but I definitely weakened it. The hard part was over now. 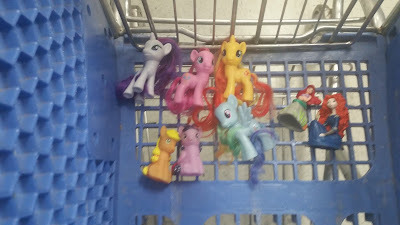 It was much easier to get the heads ON to their new bodies than it had been to get them OFF. Here she is in her pink tiara. This face mold is quickly becoming my new favorite. :) I've decided that these three are going to be sisters. It's my pleasure to introduce the Peony sisters: (Left to right) Tori (Curvy Fashionista "Sweetheart Stripes"), Teal (Tall Fashionista "Terrific Teal"), and Teagan (Made to Move Lea with Candy Princess Barbie's head). I especially love these two together. I already linked these, but I figured I'd do it a little more obviously down here. You can get your own Barbie Candy Princess/Barbie Princess Candy Fashion doll/whatever they want to call her HERE, and you can purchase your own Made to Move Barbie like mine HERE. So, final thoughts on head swaps? I don't think I want to make a habit of them. (Of course, if I did them more often, I'd probably get better at them.) ;) I definitely wouldn't want to do them for someone else. The possibility of breakage is just too high for me to risk it. I also confirmed that I prefer swapping head of dolls I've found at Goodwill. It's a lot less stressful! And I think the next time I do this, I'd like to try the heating pad method to see if it's any more effective, as I mentioned earlier.